I read an article from Huffington Post today. Which honestly? Probably always a stupid idea. But for reasons that are mine, for reasons that are probably obvious, it caught my eye. 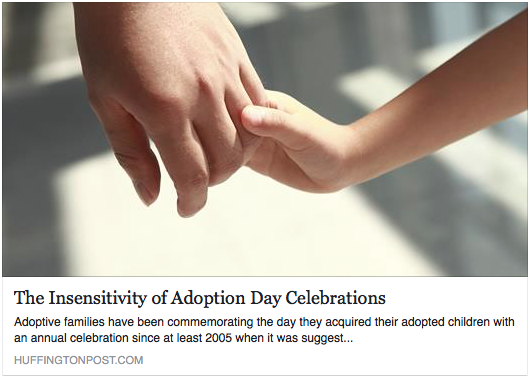 The article, as you can see, is entitled The Insensitivity of Adoption Day Celebrations, and if you find yourself so inclined, you may read it here. The idea, basically, is that for a myriad of reasons, celebrating the event of adoption, is not just wrong, it's also offensive and inconsiderate and disgusting. Because some people have sad feelings. Because some people have scared feelings. Because you're probably only doing it because you're a narcissist, and possibly trying to make up for your own personal damage anyway. 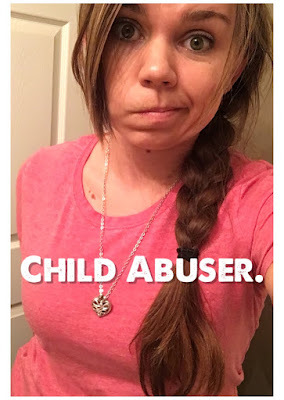 And lastly, mostly, because your child was actually stolen from her poor innocent mother who couldn't stop people from stealing her baby because she is poor and/or living in foreign country. Not that we want to sound condescending or anything. The article also states that "Gotcha", in and of itself, is an evil term. It implies VIOLENT games of tag, or the squishing of a bug beneath one's foot. I mean, in my house "Gotcha" is what our kids says, giggling furiously when they wrap themselves around their father's or my legs, refusing to let go without a good solid tickle. But the bug thing is good too. As it turns out, we're 2 days from our own "Gotcha Day". A day that our family, our daughter has excitedly anticipated for months. For 18 months, to be exact. 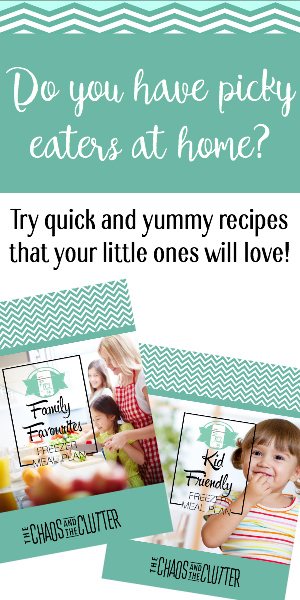 I am actually on the internet now, because I'm looking for ideas for the outfit I'd like to dress my little girl in. For this day that we are celebrating exactly because she is so filled with excitement about it. About becoming a "real Miller. Like, FOREVER." And I can come across this article and... damn. Because heaven forbid we try to act like her official inclusion into our family is some kind of positive event. Please let's not act like we're excited or happy to have her join our family. She might get the wrong idea. Like we like her or something. Yuck. What a hell that would be. Yes, adoption, by nature, implies that there is pain, and there is loss. Certainly, that exists in our home as well. But this is not the moment of pain. There have been PLENTY of moments of pain. And there will be plenty more. More than I'd like, I'm sure. But the idea that you can never enjoy happiness in life because sorrow exists as well, I mean, that's completely asinine, right? Yin and Yang. Dark and light. Suffering and Joy. Sure, we could teach our children that they aren't allowed to have happy feelings while somewhere out there someone is sad. We could smack away their happiness when they win a prize, because other children lost. We could live in reverent sorrow for people who suffer from drug addiction. From homelessness. Who had upbringings that didn't lend them the coping skills necessary to succeed on their own. But if that's how you choose to raise your kids, then dude, get those Prozac prescriptions filled early. And often. Because that is a road straight to the nuthouse. Huffpo, I know you think we're celebrating because we're selfish. But for another perspective, let me tell you what Adoption Day, or "Court Date Day" as she calls it, is important to my daughter. It's important because, before us, she lived in 3 other foster homes. (Some wonderful homes, mind you, with amazing people, who were meant to care for her for a time.) Before that, she also lived on and off the streets, in trashy hotel rooms, and with extended family members. 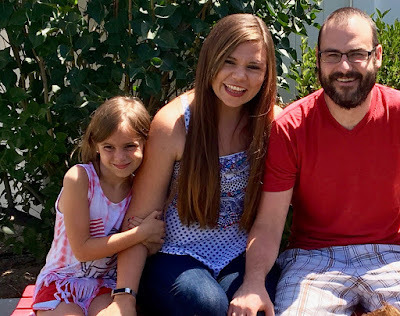 Adoption day means to my daughter, that her parents told the truth. That when we told her she would be in our family forever, that she would never have to move out of our home, that we meant it. That she is finally, finally a permanent part of a family. That we are stuck for good. Adoption Day is our celebration of our family. Adoption Day seals us. Adoption Day is the end of "foster daughter" and the beginning of our "daughter". The end of instability, and the beginning of FAMILY. Of course, I know that my daughter's biological family feels pain that she is now with us and no longer with them. It's a pain that I, truly, can't begin to comprehend. I pray for them when I think about them, and I hope for peace and joy and safety for their lives. I hope that one day, my daughter can meet them again as an adult, and that they will be happy, and healthy, and whole. But whatever the writer of this article believes, it is not always best for a child to be raised in the home she is born into. Sometimes it is unstable. Or scary. Or dangerous. Sometimes, God had other plans. Not plans without pain, but plans that have pain that leads to healing. And joy. And celebrations. So I'm really sorry for hurting your delicate lady sensitivities, Huffington Post. But this adoptive family is going to celebrate the CRAP out of Gotcha Day. *You totally think I'm overstating it. You think I'm making the article writer sound uber douchey. But I'm not. The writer sounds perfectly douchey all on her own.